Francesca Caccini’s music is used as a political weapon by the Medici, presented by Donald Macleod. Francesca Caccini has been hailed as the first female composer to write an opera. However this isn’t necessarily true. The work in question, La Liberazione di Ruggiero dall’isola d’Alcina, was written for the theatre and is almost entirely sung, but academics now believe that this is not an opera. What we do know is that Francesca Caccini was the daughter, sister, wife and mother of a family of singers, and was one of the most prolific composers of her time. She was employed at the Medici court in Florence in the early seventeenth century, and rose to become the highest paid musician on the Medici payroll. 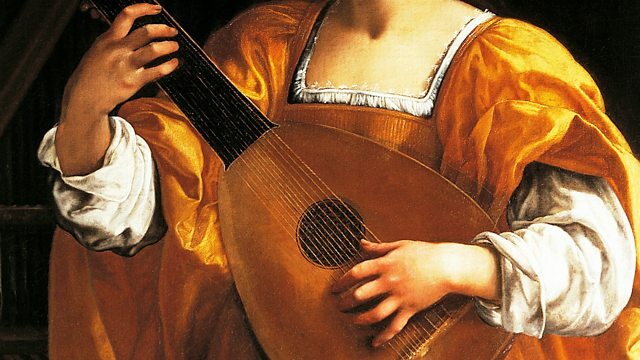 This week Donald Macleod explores the life and music of Francesca Caccini and her circle, such as her father Giulio Caccini, and other composers including Jacopo Peri, Lorenzo Allegri, and Marco da Gagliano. Francesca Caccini’s court obligations in Florence were highly demanding. By 1619 she was writing to the court officials complaining that her recent workload had been very great with teaching, performing and composing. Not only was she busy working, but in 1622 Caccini also became a mother. Just a few years later Caccini would receive a commission to write a stage work, La Liberazione di Ruggiero dall’isola d’Alcina, that would immortalise her in the future as the first women to compose an opera. Although the work may not be an opera, it was a work of sheer spectacle and was intended to demonstrate the power of the Medici women at that time. This stage work became very popular in its day, and was even translated into Polish. Performer: Colin Tilney. Performer: Anthony Bailes. Performer: Jordi Savall. Performer: Pere Ros. Singer: Nigel Rogers. Performer: La Villanella Basel. Singer: Heike Pichler-Trosits. Singer: Heike Pichler. Ensemble: La Villanella Basel. Performer: Heike Pichler-Trosits,. Ensemble: La Villanella Basel. Singer: Max van Egmond. Ensemble: Ricercar Consort.